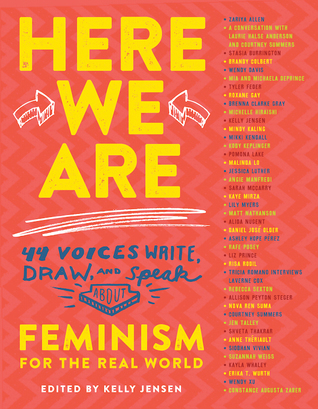 Here We Are: Feminism for the Real World is a guide to understanding what it means to be a feminist and an invitation to one of the most important, life-changing, and exciting parties around. I follow the editor on Twitter and have been looking forward to this book for some time. Yes, I checked it out from the library but I'll also be buying the book when funds allow. The last year has taught me that I need to speak up for not just myself, but for the women around me, but how do I go about doing that? I'm hoping this book, filled with the work of some of the most vocal and powerful feminist of our generation can help me be a better feminist.